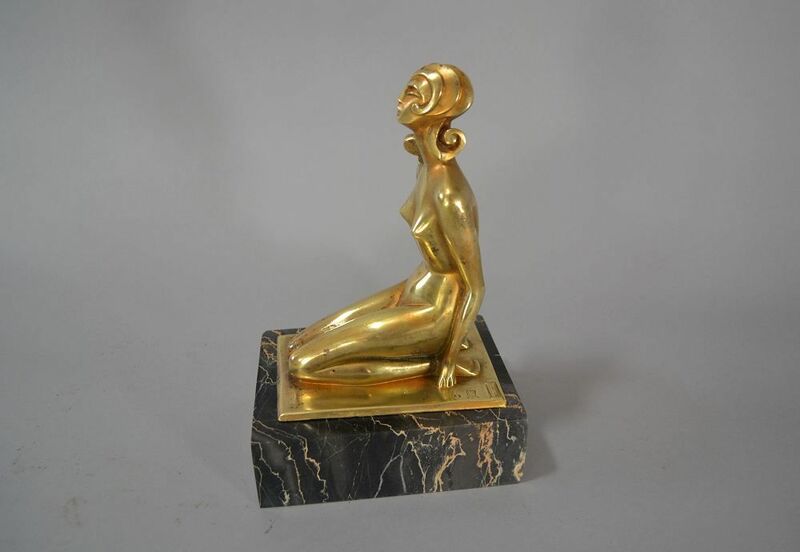 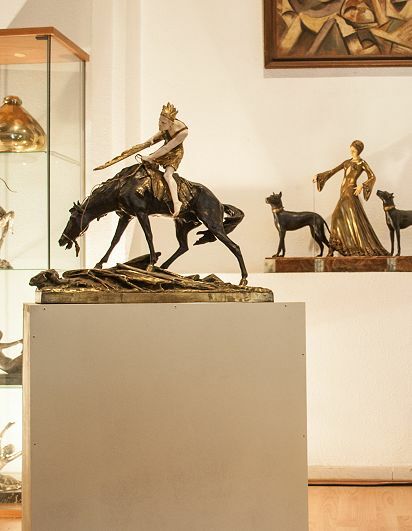 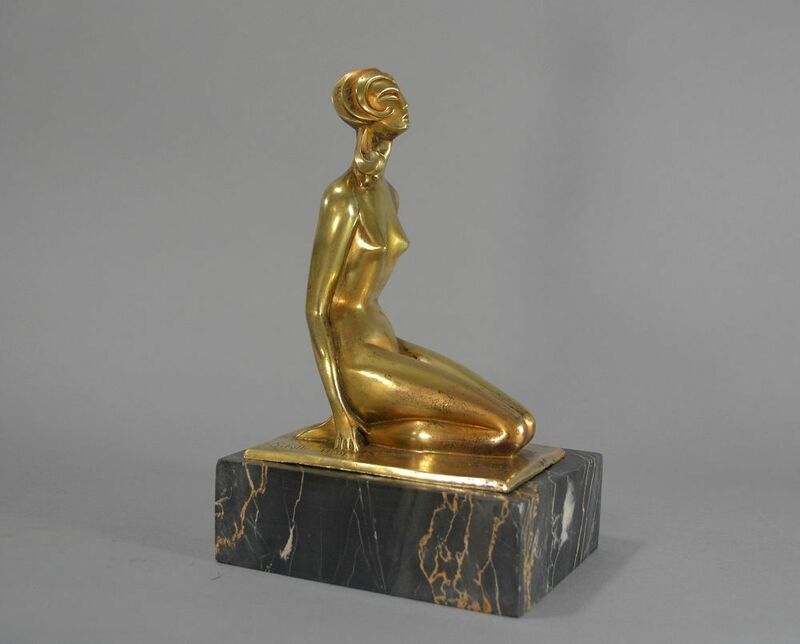 A wonderful art deco bronze sculpture by Sibylle May. 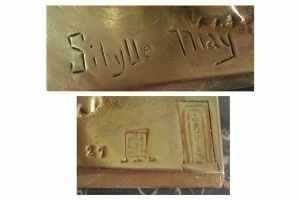 Signed in the bronze + foundry marks (LA STELE). 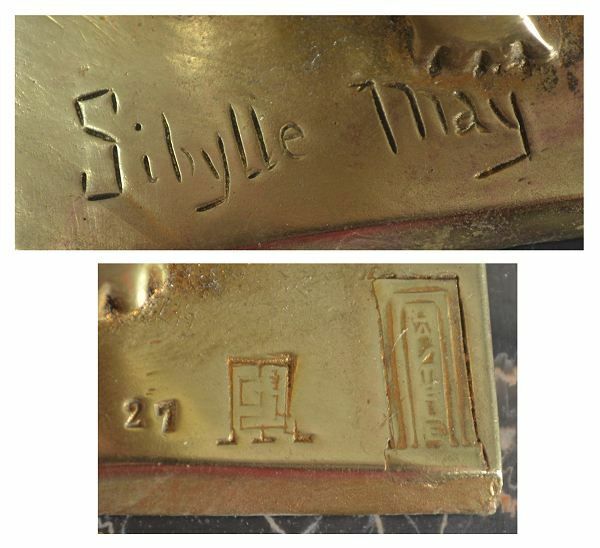 May's life data is unknown in the literature. 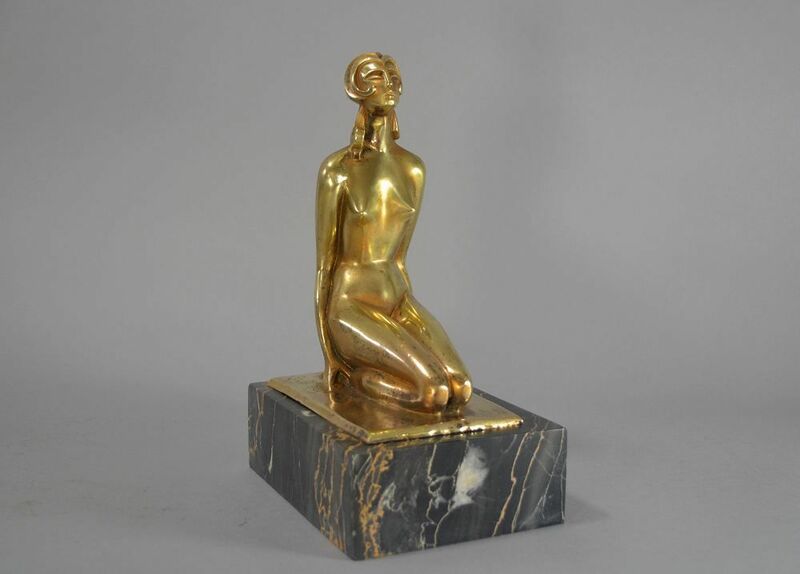 The sculptor worked in the interwar period in France (shown from 1925 to 1935), probably in Paris . 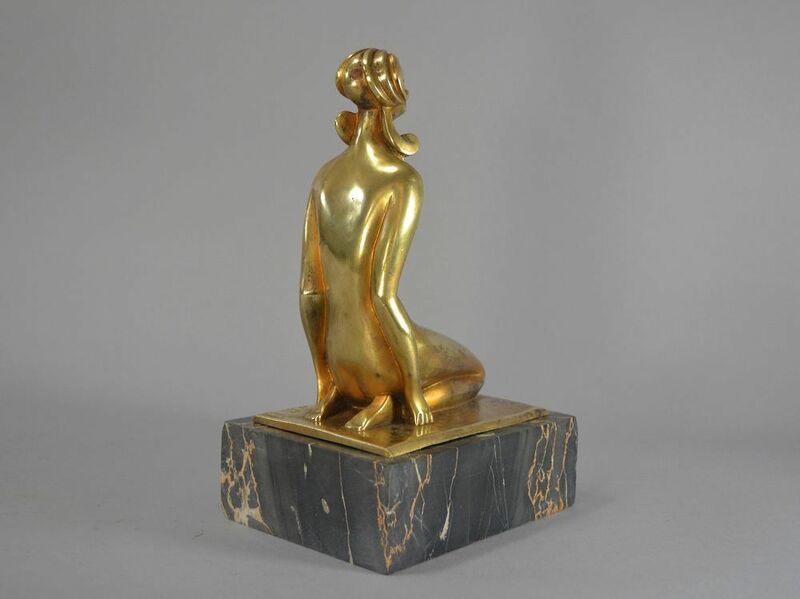 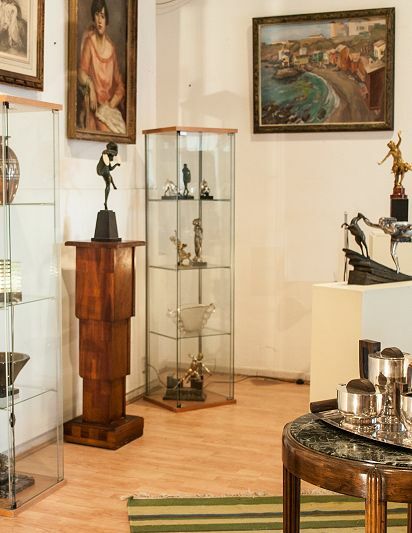 She was part of of Arthur Goldscheider launched groups of artists La Stele and L'Evolution and was known for her partly from Cubism influenced statuettes in the style of Art Deco and other decorative items. 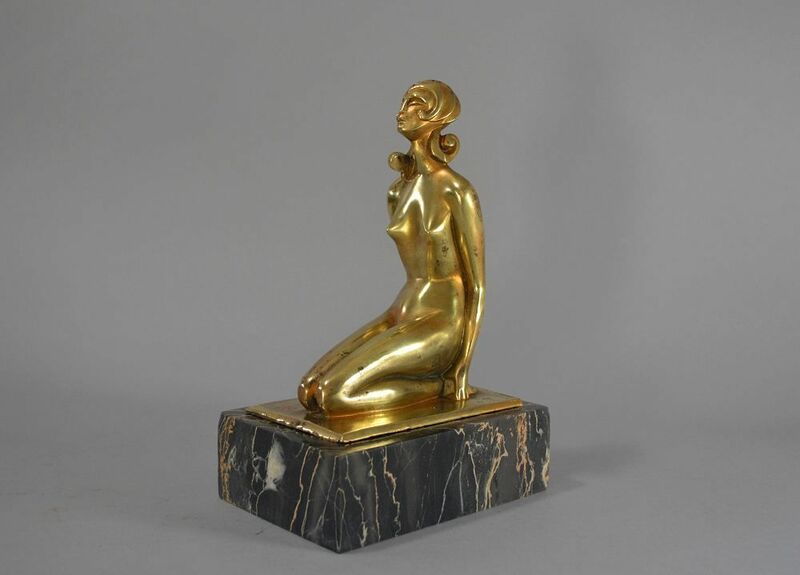 Some of her angular ceramic figures were decorated in subtle monochromatic hues by her friend and colleague of the group La Stele , Édouard Cazaux (1889-1974). 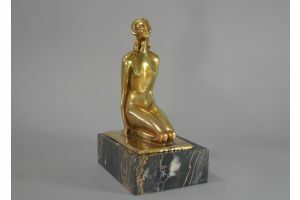 She also collaborated with the sculptor Pierre Le Faguays . 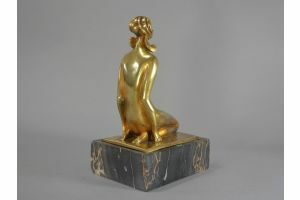 May worked with bronze (partly gilded) and ceramics; Many of her straightforward works, which are limited to the essentials, were artfully realized and marketed by the Goldscheiders foundry. 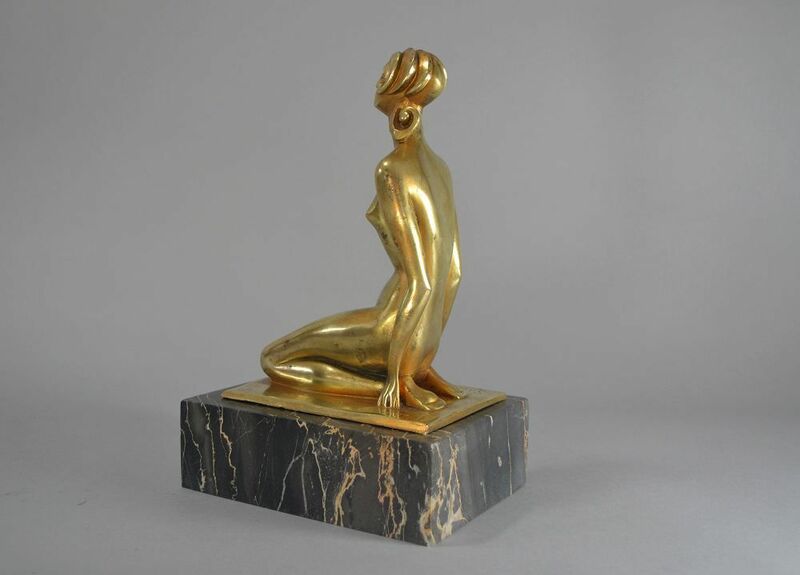 Other works were produced and distributed by Éditeur d'art Albert Buisson.